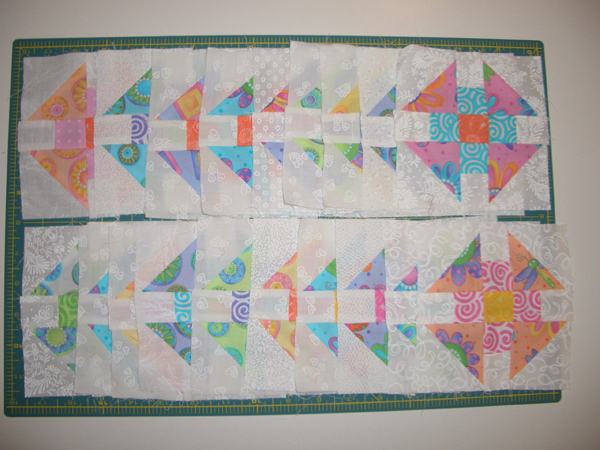 This week I am working on a Quilt for my new grand-niece, Annistyn. It is a free Bonnie Hunter pattern called Little Monkey. Had lots of great scraps to use up for this one. 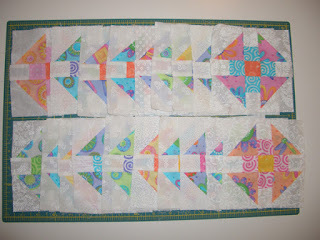 The blocks are almost finished and then just need to add sashing, borders and quilt it up. Hope to get it finished soon and in the mail! What are you working on this week? Get inspired by all the other design walls at Patchwork Times. Hi Kerry, Bonnie's patterns are such a great way to use up scraps and your "Little Monkey" quilt will be adorable with all the great colors of your scraps. With all those bright colors, it's going to be a gorgeous quilt.